August 2015: This post is a demonstration of our transparency in the way we operate our business. A sample memorandum of law submitted in opposition to the defendants’ motion to dismiss the case. The plaintiff had filed a civil rights lawsuit alleging that the defendants had used excessive force and violated his constitutional rights. The defendants responded by asking the judge to dismiss the entire case. The plaintiff submits this memorandum of law in opposition to the motion by all defendants, i.e., the Village of St. Augustine, Timothy Sanders, Brian Moore and Gary Carter, to dismiss the complaint in its entirety, with prejudice, pursuant to Rule 12(c) of the Federal Rules of Civil Procedure based upon the ground of qualified immunity. Justin Tonawanda is a young, male, Hispanic, Puerto-Rican born American citizen who is a resident of the County of Westchester (Plaintiff’s Deposition pp.10-11; Complaint ¶ 4). He began his employment with the defendant Village of St. Augustine in the summer of 2006 as a laborer for the highway department (Plaintiff’s Deposition, p.11). He was recommended for the job by a former police officer with the Village of St. Augustine (Plaintiff’s Deposition p. 15). The plaintiff was hired by defendant Gary Carter (Plaintiff’s Deposition, pp.43-44, 47), and at all relevant times, defendant Gary Carter was his direct supervisor (Plaintiff’s Deposition, p.17-19). At all relevant times, plaintiff was an employee of the Village of St. Augustine Department of Public Works and at the same time was a volunteer fireman of the Village of St. Augustine (Plaintiff’s Deposition, p.32; Complaint ¶ 5). The only “disciplinary action” ever taken against plaintiff during his employment occurred one time when his supervisor, defendant Gary Carter, told him to stop arriving late for work (Plaintiff’s Deposition, pp. 20-21). It was one single verbal warning that was never written and never repeated (Plaintiff’s Deposition, pp. 20-21). There was never any other disciplinary action of any kind whatsoever (Plaintiff’s Deposition, pp. 20-21). On May 14, 2009, around 10:00 p.m., Mr. Tonawanda was operating his brother-in-law’s motor vehicle on the corner of Beekman Avenue, a public street in the Village of St. Augustine (Plaintiff’s Deposition pp. 71, 75-77; Complaint ¶¶ 29). He was moonlighting by making deliveries for a local pizzeria and was returning to work at the pizzeria after having delivered a pizza (Plaintiff’s Deposition p. 79). At the time, Mr. Tonawanda was operating the motor vehicle at a speed of about 10 to 15 miles per hour (Plaintiff’s Deposition p. 78). Mr. Tonawanda observed a police vehicle behind him with its flashing lights on (Plaintiff’s Deposition pp. 75-77; Complaint ¶¶ 30). He pulled over, turned his vehicle off, stepped out of his car, and began walking back to his job, not knowing that the police officer was pulling him over personally (Plaintiff’s Deposition pp. 82-84). The officer, Walter Murray, ordered Mr. Tonawanda to get back in his vehicle, to which Mr. Tonawanda responded by telling the officer, in substance, to stop bothering him (Plaintiff’s Deposition pp. 84-85). The officer again ordered Mr. Tonawanda to get back in his vehicle (Plaintiff’s Deposition p. 85). Mr. Tonawanda then walked back to his vehicle and got in (Plaintiff’s Deposition p. 85). At that time, while Officer Murray walked up to Mr. Tonawanda’ vehicle, the defendant Officer Sanders, along with another Village of St. Augustine police officer, also parked their vehicles behind Mr. Tonawanda’ vehicle (Plaintiff’s Deposition pp. 82, 83, 85). Seated in his car in the driver’s seat, Mr. Tonawanda told Officer Murray that if he lost his (pizza delivery) job that it would be his fault (Plaintiff’s Deposition p. 86). Officer Murray then asked Mr. Tonawanda for his license and registration and Mr. Tonawanda fully cooperated with the officer’s commands while continuing to state that if he lost his job, it would be Officer Murray’s fault (Plaintiff’s Deposition p. 86, Complaint ¶¶ 30). Officer Murray did not respond to Mr. Tonawanda’s verbal comments, but Officer Sanders approached Mr. Tonawanda’ vehicle and asked the plaintiff, in substance, “Who are you threatening?” to which Mr. Tonawanda responded “Nobody” and told defendant Sanders to mind his own business (Plaintiff’s Deposition p. 87). Officer Sanders then ordered Mr. Tonawanda to get out of his car (Plaintiff’s Deposition p. 88). As Mr. Tonawanda was getting out of the car, Officer Sanders violently grabbed Mr. Tonawanda’ left hand, yanked him out of the vehicle, spun him around, aggressively placed his elbow onto the back of Mr. Tonawanda neck and pressed it again the frame of his car causing his chin to hit the top of the car (Plaintiff’s Deposition p. 88; Complaint ¶¶ 31, 32). Officer Sanders then spread Mr. Tonawanda’s legs open by kicking him in his legs (Plaintiff’s Deposition p. 88). All the while, Officer Sanders is still twisting Mr. Tonawanda’s left wrist (Plaintiff’s Deposition p. 88). With Mr. Tonawanda screaming in anguish, Officer Sanders asked him, in substance: “Are you high on crack?” to which Mr. Tonawanda responded by implying that that was an activity that Officer Sanders participates in (Plaintiff’s Deposition p. 88). Officer Sanders continued his violence against Mr. Tonawanda by keeping plaintiff in this position, with his wrist painfully twisted, for about two minutes (Plaintiff’s Deposition p. 90). After Mr. Tonawanda yelled out “police brutality,” Officer Sanders stopped twisting Mr. Tonawanda’s hand, but did not let go of his arm until he placed Mr. Tonawanda into Officer Murray’s patrol car (Plaintiff’s Deposition p. 91, 93). At this time, Mr. Tonawanda had not even been issued a traffic ticket yet (Plaintiff’s Deposition p. 93). The defendant Sanders then conducted a patently unlawful search of Mr. Tonawanda’s vehicle (Plaintiff’s Deposition p. 94; Complaint ¶ 34). After searching the entire passenger compartment and the locked trunk of Mr. Tonawanda’s car for approximately five minutes, Officer Sanders then ordered Mr. Tonawanda to get back into his vehicle (Plaintiff’s Deposition p. 95). At no time during the incident did Mr. Tonawanda resist or use force against any of the police officers present. All this time, Officer Murray and another Village of St. Augustine police officer were present on the scene (Plaintiff’s Deposition p. 93). Plaintiff was issued three tickets by Officer Murray, all for not stopping at a stop sign (Plaintiff’s Deposition pp. 80-82). Later that evening, Mr. Tonawanda went to the Village of St. Augustine Police Station and filed a report against Officer Sanders (Plaintiff’s Deposition p. 98). After filing the report, Mr. Tonawanda drove himself to the hospital for medical treatment of his wrist (Plaintiff’s Deposition p. 99). X-rays were taken, Mr. Tonawanda’s left wrist was put in a soft cast, and his wrist was placed into some type of support (Plaintiff’s Deposition p. 100). A specialist at the hospital, Dr. Finnerty, informed Mr. Tonawanda that he would need an operation (Plaintiff’s Deposition pg. 100). The sole reason for the Village’s employment of the plaintiff was his ability to perform manual labor. His job duties included picking up brush, cutting down trees, blacktop and sidewalk repair, installing street signs, painting crosswalks, snow removal and trash pickup (Plaintiff’s Deposition, pp. 17-18, 21). On several prior occasions, a physical injury temporarily prevented plaintiff from performing his job duties (Plaintiff’s Deposition, pp.22-26). Each time, he would report the injury to his supervisor, defendant Carter, and when the injury healed and plaintiff was able to return to work, he would report back to Carter and resume his employment (Plaintiff’s Deposition, pp. 22-26). The injuries inflicted by defendant Sanders on May 14, 2009 rendered Mr. Tonawanda unable to perform his duties as a laborer, and so on May 15th, 2009 plaintiff notified the defendant Gary Carter, his supervisor, that he would be unable to work for a period of time due to the injury (Plaintiff’s Deposition pp. 107, 108; Complaint ¶¶ 9, 35). Defendant Carter acknowledged Mr. Tonawanda’s condition and told him to come back to work with a doctor’s note (Plaintiff’s Deposition p. 108; Complaint ¶ 36). Approximately two months later, on July 16, 2009, Mr. Tonawanda served a Notice of Claim on the defendant Village of St. Augustine, notifying the Village that he was seeking injunctive relief and compensatory damages from the Village as a result of the police brutality inflicted by the defendant Officer Sanders (Plaintiff’s Deposition p. 109). On July 18, 2009, plaintiff was standing on Columbus Street, in the Village of St. Augustine, with three other friends, one of whom was Henry Vesuvius (Plaintiff’s Deposition pp. 117-119). Mr. Tonawanda and his friends were approached by four Village police officers, including defendant Sanders, and were accused of being in violation of the Village’s open container ordinance (Plaintiff’s Deposition pp. 115, 120, 128; Complaint ¶¶ 39, 40). As the other officers were filling out summonses for the open container violation, defendant Officer Sanders suddenly declared that he discovered a bag containing the controlled substance cocaine near Mr. Tonawanda (Plaintiff’s Deposition, pp. 130-35; Complaint ¶ 41). The four officers arrested the four individuals, including the plaintiff, and transported them to the St. Augustine Police Department (Plaintiff’s Deposition, pp. 137-38). Somehow, one of the four individuals was released and was never charged with a crime (Plaintiff’s Deposition, p. 137, 140, 142). At the police station, defendant Sanders drafted and signed a felony complaint accusing Mr. Tonawanda of a Class B felony crime of Criminal Possession Sale of a Controlled Substance (Plaintiff’s Deposition, p. 140, 143; Complaint ¶¶ 42, 43). The police officers also claimed that, upon arresting and searching all the individuals, they observed a quantity of cocaine in folded currency in Mr. Vesuvius’ wallet (Plaintiff’s Deposition, p. 151). Along with two other individuals, the plaintiff was charged with a Class B Felony, was incarcerated for several days, had to have a family member post bail to get him out of jail, and was required to retain an attorney to defend him against the criminal charges (Plaintiff’s Deposition, pp. 142-43, 146; Complaint ¶¶ 44, 45). Family members for each of the three individuals charged by defendant Sanders on July 18, 2009 posted bail the following Monday and all three men were released from jail (Plaintiff’s Deposition, pp. 147-48). Sometime later, one of the men, Henry Vesuvius, was accused of committing a felony assault while out on bail, and was returned to jail (Plaintiff’s Deposition, p. 152). Mr. Vesuvius pleaded guilty to misdemeanor assault and received a sentence of one year in the County Penitentiary, for which he served eight months (Plaintiff’s Deposition, p. 152). Near the end of his one-year sentence on the assault charge, Mr. Vesuvius pleaded guilty to possession of a quantity of cocaine in his wallet, and received a sentence of thirty days in the County Penitentiary, to be served concurrent with his sentence on the assault charge (Plaintiff’s Deposition, pp. 149-151). Contemporaneous with the plea by Mr. Vesuvius, in June 2010, all charges against the plaintiff resulting from this arrest were dismissed (Plaintiff’s Deposition, p. 149). On or about August 20, 2009, Mr. Tonawanda left his car parked on Valley Street, a public street in the Village of St. Augustine (Plaintiff’s Deposition, p. 152;Complaint ¶ 48). He returned to his car two or three minutes later and discovered that a parking ticket had placed on his car by defendant Sanders (Plaintiff’s Deposition, p. 153; Complaint ¶ 49). Almost six months after the defendant Sanders injured plaintiff’s left wrist, on October 31, 2009, plaintiff had a surgery performed on his left wrist (Plaintiff’s Deposition, pp. 157-58). Approximately six months after the surgery, on or about April 1, 2010, the plaintiff received clearance from his physician that his wrist injury had resolved to the point that he was medically cleared to return to work (Plaintiff’s Deposition, pp. 153-54; Complaint ¶ 51). On or about April 13, 2010, the plaintiff provided a copy of his medical clearance to return back to work to the defendants and spoke with the defendant Carter in his office (Plaintiff’s Deposition, p. 162; Complaint ¶ 51). When the plaintiff told the defendant Carter he was able to return to work, the defendant Carter told plaintiff, in substance, that his lawsuit pending against the Village of St. Augustine precluded him from returning to work (Plaintiff’s Deposition pp. 45, 162; Complaint ¶ 52, 53). A few weeks after the defendant Carter told plaintiff his old job was not available to him, and after hearing from friends that the Village was hiring laborers, on or about May 5, 2010, the plaintiff returned to Village offices and re-applied for employment all over again, filling out a formal application for employment (Plaintiff’s Deposition, pp. 45-46). After the plaintiff re-applied for employment with the Village of St. Augustine, he again sought out the defendant Carter and asked Carter to put him back to work (Plaintiff’s Deposition, pp. 164-66). This time, Carter stated, in substance, that if the decision were Carter’s, then the plaintiff would be back to work (Plaintiff’s Deposition, pp. 165-66). However, Carter stated that, in substance, the Mayor (i.e., the defendant Moore) was preventing the plaintiff’s re-employment (Plaintiff’s Deposition, pp. 165-66). To date, plaintiff has never been given his job back. However, Henry Vesuvius was returned to his position as a laborer within two weeks after his release from the Penitentiary, and remains in that position today (Plaintiff’s Deposition, p. 164). The test for evaluating a 12(c) motion is the same as that applicable to a motion to dismiss under Fed. R. Civ. Proc. 12(b)(6). We therefore must accept the allegations of [the non-movant’s] complaint as true, and draw all reasonable inferences in [the non-movant’s] favor. Sheppard, 18 F.3d at 150 [Sheppard v. Beerman, 18 F.3d 147, 150 (2d Cir. 1994)]. We will not uphold the district court’s dismissal unless “it appears beyond a reasonable doubt that the plaintiff can prove no set of facts in support of [her] claim which would entitle [her] to relief.” Id. (internal quotations omitted). This standard is “applied with particular strictness when the plaintiff complains of a civil rights violation.” Branum v. Clark, 927 F.2d 698, 705 (2d Cir. 1991) (citations omitted). Irish Lesbian and Gay Organization v. Giuliani, 143 F.3d 638 (2d Cir. 1998). Dismissals for failure to state a cause of action are disfavored: Rule 8 only requires the pleading to contain “a short and plain statement of the claim showing that the pleader is entitled to relief.” FRCP Rule 8(a). The Second Circuit, following Supreme Court precedent, has ruled that the issue of qualified immunity should be resolved as early in the proceedings as possible, because “it is more than a simple defense–it is an entitlement not to stand trial or face the burdens of litigation.” Stephenson v. Doe, 332 F.3d 68, 76 (2d Cir. 2009), citing Loria v. Gorman, 306 F.3d 1271, 1281 (2d Cir. 2002). However, qualified immunity is only available as an affirmative defense when the action by government officials “does not violate clearly established statutory or constitutional rights of which a reasonable person would have known.” Stephenson, supra, at 76, citing McCardle v. Haddad, 131 F.3d 43, 50 (2d Cir. 1997), quoting Harlow v. Fitzgerald, 457 U.S. 800, 818, 73 L.Ed. 2d 396, 102 S.Ct. 2727 (1982). In the instant action the complaint alleges several instances where employees of the Village of St. Augustine took action that, if true, violated clearly established constitutional or statutory rights of the plaintiff of which a reasonable person would have known. For this reason, the complaint alleges several meritorious legal claims against the defendants. Plaintiff should be given the opportunity to develop them in discovery. Accordingly, the defendants’ motion to dismiss the action based upon qualified immunity should be denied in its entirety. It is well settled that the municipal defendant, the Village of St. Augustine, is not entitled to dismissal on the ground of qualified immunity under any circumstances. The defense of qualified immunity protects only individual defendants sued in their individual capacity, not governmental entities, and it protects only against claims for damages, not against claims for equitable relief. 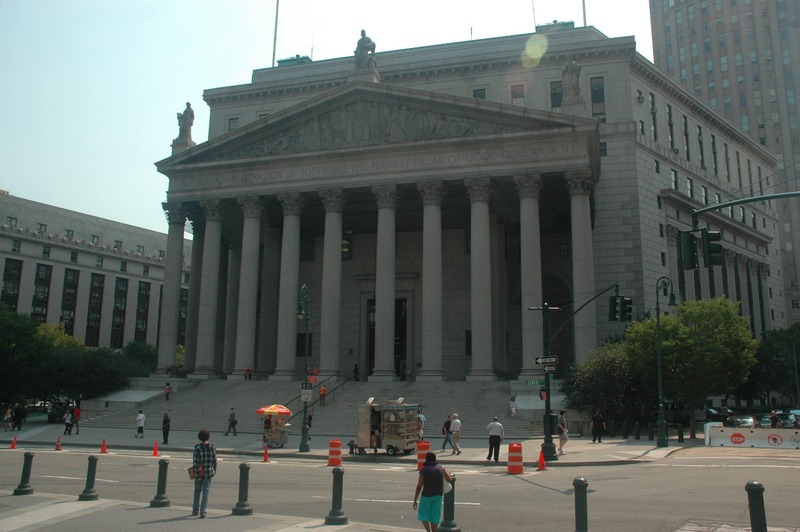 Rodriguez v. City of New York, 72 F.3d 1051, 1065 (2d Cir. 1995). Ford v. Reynolds, 316 F.3d 351, 356 (2d Cir. 2009). Thus, to any extent that the instant motion seeks dismissal of the claims against the municipal defendant on the ground of qualified immunity, that portion of the motion should be denied in its entirety and all claims against the municipality should proceed. The plaintiff alleges that the defendant Timothy Sanders used excessive force on him during a traffic stop on May 14, 2009. The defendant Timothy Sanders claims that his actions on May 14, 2009 are entitled to qualified immunity. However, in this Circuit, although the defense may exist in theory, for all practical purposes police officers are no longer entitled to the qualified immunity defense when defending claims of excessive force during a roadside stop. First, the Supreme Court applies the Fourth Amendment “reasonableness” test to the use of non-deadly force in arrests or interrogative stops. Perlleshi v. County of Westchester, 2000 US Dist. LEXIS 6054 (S.D.N.Y. 2000 [McMahon, J. ]); see also, Diamondstone v. Macaluso, 148 F.3d 113 at 123 (2d Cir. 1998). Second, The plaintiff’s right to be free from excessive force was clearly established at the time: The right to be free from false imprisonment and false arrest is clearly established. Robinson v. Via, 821 F.2d 913, 921 (2d Cir. 1987); Bordeaux v. Lynch, 958 F. Supp. 77, 87 (N.D.N.Y. 1997) Ruhlmann v. Ulster County Department of Social Services, 234 F. Supp. 2d 140. 174 (N.D.N.Y. 2002). More specific to the facts of this case: The right to be free from ‘excessively forceful handcuffing’ is a clearly established right for qualified immunity purposes. Burchett v. Kiefer, 310 F.3d 937, 945 (6th Cir. 2002) (citing Kostrzewa v. City of Troy, 247 F.3d 633 (6th Cir. 2001) [using handcuffs that were too small for non-violent, non-resisting arrestee’s wrists]). This has long been the law in this circuit. See, e.g., Robison v. Via, 821 F.2d 913, 925 (2d Cir. 1987) (finding plaintiff’s statement that officer pushed plaintiff against the inside of the door of her car, “yanked” her out, “threw [her] up against the fender,” and “twisted [her] arm behind [her] back,” causing plaintiff to suffer bruises lasting a “couple weeks” sufficient to preclude summary judgment). It was also established that a “poke and push” during a traffic stop could be actionable. Lanigan v. Village of East Hazel Crest, 110 F.3d 467 (7th Cir. 1997). Bacchiocci v. Chapman, 2010 U.S. Dist. LEXIS 107710 (Dist. Conn. 2010). Ordinarily, then, the next issue in a qualified immunity analysis is whether the defendant’s conduct was objectively reasonable. However, the Second Circuit in Stephenson has said that the excessive use of force based upon a mistake of fact by the police officer, such as the mistaken belief that a suspect will fight back, is not an issue of qualified immunity but instead is an issue of whether the plaintiff’s rights were violated. Stephenson, supra, 332 F.3d 68 at 78-79. Thus, the defendant Sanders cannot claim an objectively reasonable mistake as to the law, since the law was well settled in this Circuit. In addition, if he claims an objectively reasonable mistake as to the plaintiff’s actions, qualified immunity does not apply. Thus, on the facts of this case, qualified immunity does not apply. Finally, the plaintiff at all times complied with the lawful directives of the police officers (Plaintiff’s Deposition, pp. 85-88). On several occasions he uttered remarks to the officers, but he never once refused a lawful order of a police officer. Thus, there was absolutely no reason for defendant Sanders to place his hands on the plaintiff. In its Perlleshi decision, at footnote 2, this Court questioned the relevance of the doctrine of qualified immunity in the search and seizure context, but nonetheless followed Second Circuit precedent. But by reasoning, in Stephenson, that a mistake of fact by the officer does not involve qualified immunity, the Second Circuit appears to be agreeing with this Court that the doctrine of qualified immunity has no relevance in a search and seizure context. The plaintiff alleges that he was arrested and criminally prosecuted by the defendant Timothy Sanders on felony drug charges on July 18, 2009 in retaliation for filing a civilian complaint against Sanders with the police department on May 15, 2009 and for serving a Notice of Claim against Sanders on the Village on July 16, 2009. The defendant Timothy Sanders claims that his actions on July 18, 2009 are entitled to qualified immunity. In 1999, the Second Circuit reversed a district court judge and held it to be a violation of a person’s constitutional rights subject to § 1983 liability if a government official subjects an individual to selective prosecution in retaliation for the exercise of free speech rights guaranteed under the First and Fourteenth Amendments. Leather v. Ten Eyck, 180 F.3d 420 (2dCir. 1999). In Leather, the plaintiff (i.e., the criminal defendant) was convicted of the underlying criminal charges. In this action, all criminal charges against the plaintiff were dismissed. In Leather, the plaintiff exercised his First Amendment rights one to two years before his arrest. In this action, the plaintiff was arrested and charged only two months after he filed his civilian complaint with the police department and only two days after he filed his Notice of Claim against Sanders with the Village Clerk. In an unrelated context (i.e., an adverse employment action case), this Court has held that: timing alone–i.e., when an adverse employment action follows closely in time a plaintiff’s protected speech–can serve as circumstantial evidence of causation. See Gorman-Bakos v. Cornell Cooperative Extension of Schenectady Cty., 252 F.3d 545, 554 (2d Cir. 2001); Scheiner v. New York City Health + Hospitals, 152 F. Supp. 2d 487, 496 (S.D.N.Y. 2001). The facts here more than suffice to create a genuine issue of material fact regarding causation). Stein v. Janos, 269 F.Supp.2d 256, 260 (S.D.N.Y. 2009 [McMahon, J.]). It is, at a minimum, an issue of fact as to whether Sanders’s arrest and prosecution of the plaintiff was in retaliation for plaintiff’s lodging of grievances against Sanders. Under no set of facts could it be concluded that the defendant Sanders’s actions were entitled to qualified immunity. However, at a minimum, an issue of fact exists and the motion should be denied. The plaintiff alleges that he was not returned to his position as a laborer with the Department of Public Works of the Village of St. Augustine in retaliation for his filing of a Notice of Claim with the Village on July 16, 2009. The defendants Brian Moore and Gary Carter claim that their actions in not returning plaintiff to his position are entitled to qualified immunity. Jermosen v. Smith, 945 F.2d 547, 550 (2d Cir. 1991). “For over 30 years the Supreme Court has consistently held that while the government enjoys significantly greater latitude when it acts in its capacity as employer than when it acts as sovereign, the First Amendment nonetheless prohibits it from punishing its employees in retaliation for the content of their protected speech.” Locurto v. Safir, 264 F.3d 154, 166 (2d Cir. 2001). Stein v. Janos, 269 F.Supp.2d 256, 262 (S.D.N.Y. 2009 [McMahon, J.]) This Court recognizes, and plaintiff claims, both First Amendment retaliation claims as well as Speech Based Equal Protection Fourteenth Amendment claims. See, Kantha v. Blue, 262 F.Supp.2d 90 at 100-101 and at 107 (S.D.N.Y. 2009 [McMahon, J.]). In this action, the plaintiff and another individual, Henry Vesuvius, held similar positions within the Village Department of Public Works. Both were arrested for the exact same felony drug charge (Plaintiff’s Deposition, pp. 117-119; 137-38). All criminal charges against plaintiff were dismissed. Vesuvius admitted his guilt to a misdemeanor drug charge (Plaintiff’s Deposition, pp. 149-151). In addition, Vesuvius was accused of a second felony crime while he was out on bail (Plaintiff’s Deposition, p. 152). Plaintiff was law abiding while he was out on bail. Finally, Vesuvius spent approximately eight months in jail, while the plaintiff was at liberty. Nonetheless, defendants Carter and Moore put Vesuvius back to work within two weeks of his release from jail. The same defendants refuse to put the plaintiff back to work (Plaintiff’s Deposition, pp. 45-46; 164-66). Plaintiff submits that the only difference between his circumstances and Vesuvius’ circumstances is that plaintiff had filed a Notice of Claim against the Village (Plaintiff’s Deposition, p. 109). As in Point III, supra, the timing of the events is circumstantial evidence of a causal nexus between plaintiff’s exercise of his constitutional rights and the defendants’ refusal to put him back to work. Moreover, plaintiff spoke directly to defendant Carter about going back to work, and Carter’s response was that plaintiff had an action pending against the Village. A few weeks later, when plaintiff approached Carter a second time about going back to work, Carter’s response was that it was the Mayor, (i.e., the defendant Moore) and not Carter himself, who was preventing plaintiff from returning to work. Subsequently, the defendant Moore refused to meet with the plaintiff. For purposes of qualified immunity, the identity of the policymaking body is irrelevant. The facts as alleged by plaintiff are that, at all times, the defendant Carter was in charge of his hiring and, whenever he sustained an injury that prevented him from working for a period of time, Carter was in charge of his re-hiring (Plaintiff’s Deposition, pp. 22-26). However, this time, in Spring 2010, when the plaintiff sought to return to work, Carter referred to the existence of a lawsuit against the Village as the reason plaintiff was not going back to work. Moreover, Carter also informed plaintiff that the defendant Moore was the person preventing plaintiff from returning to work. These facts, if proven to a finder of fact, constitute a deprivation of plaintiff’s rights under the First and Fourteenth Amendments by Carter and Moore. It does not matter whether or not they had ultimate statutory authority to hire or fire. As long as they used their positions in the hiring/firing chain of command to retaliate against the plaintiff, liability exists and the defense of qualified immunity does not protect them. In addition to money damages, plaintiff also claims equitable relief: i.e., to return to his position as a laborer. As discussed in Point II, supra, qualified immunity is not a defense to an equitable claim. Accordingly, plaintiff’s claim for reinstatement should survive this motion under all circumstances. Accordingly, for the reasons set forth above, the motion brought by all defendants to dismiss all causes of action, with prejudice, pursuant to Rule 12(c) of the Federal Rules of Civil Procedure on the grounds of qualified immunity, should be denied in its entirety.